As a towing company you get a lot of interesting service calls. People run their cars into telephone poles, into guard rails, off of bridges and into snowbanks. There really are very few imaginable scenes that we have not been called to in 50 years of towing in the Midwest. This is especially true in working with larger contracts that service specialized vehicles and equipment. With a semi tow truck you are able to carry larger vehicles and machines that are used in industrial work. Because all of these much larger vehicles require the extra power a semi tow truck can carry, it means that specific training and certifications have to be had before one can operate such a rig. 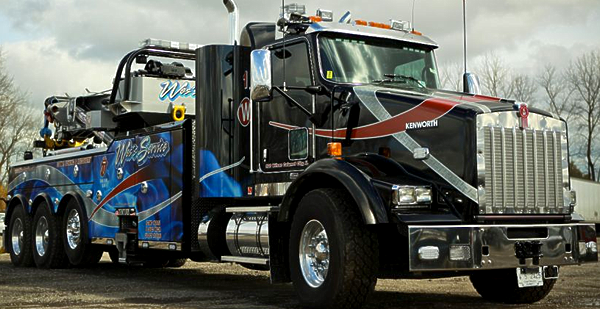 Wes’s Service Towing has all of the equipment and the personnel who are qualified to run them. And all this means the best possible service to you, our customer.